Most people who know me personally would probably be aware that I have had an ongoing issue with my skin. 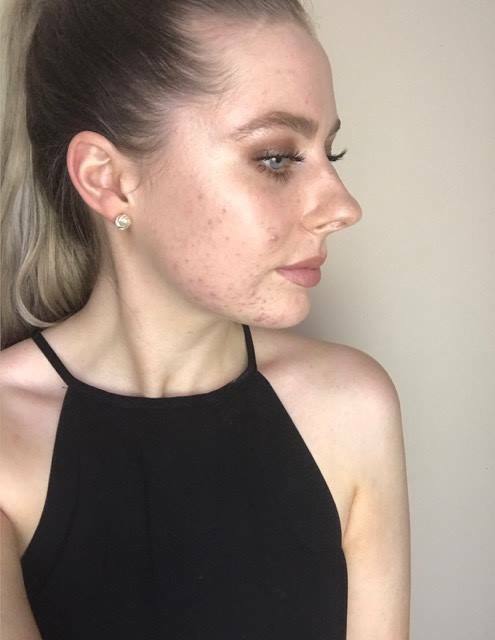 Since I was around sixteen years old I have experienced my fair share of acne, never going a day with completely clear skin. I either had a family of pustules around my nose, or whiteheads on my forehead, and so on. 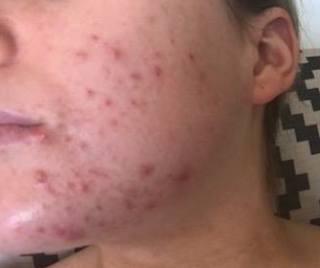 Now I know that this is seen to be completely normal for a sixteen year old girl at the peak of puberty who loves to wear Revlon colour stay on a daily, only to take it off at the end of the day with a few swipes of a makeup wipe with no other form of skincare. Which I might add, is still something that I cringe about to this day. If only I could go back in time and put a bottle cleanser in one hand of my oblivious sixteen year old self and a tube of moisturiser in the other. But as time went on and as I grew up, I was constantly told that this was only a phase and that I would eventually grow out of my acne. 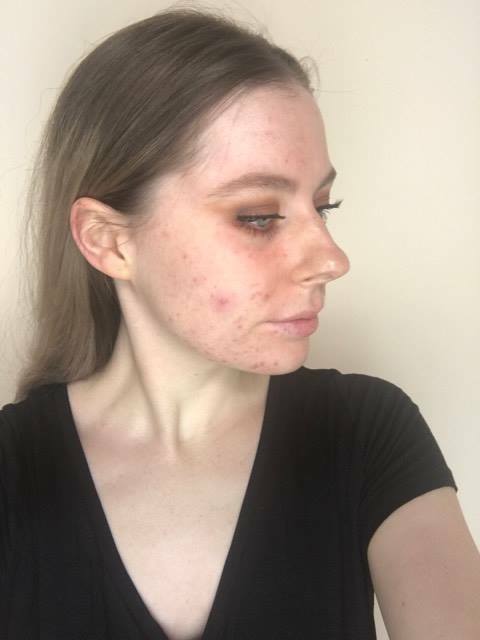 I am now 22 years old and no, I have not "grown out" of my acne, it has been as present as ever during the beginning of my adult years. 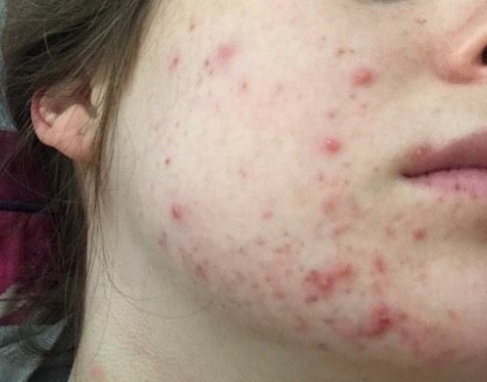 When entering adulthood my acne came right along with me and shockingly enough this is where it became a lot worse. 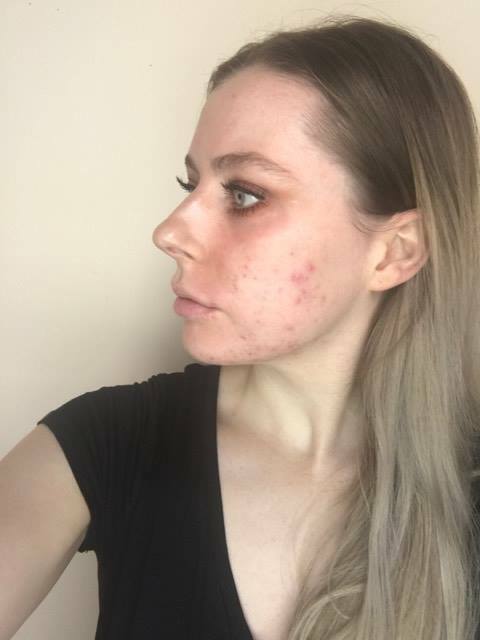 Even though I ate a balanced diet, I wore better quality makeup and took care of my skin, making sure to cleanse, tone, moisturise etc., I began to develop pretty severe hormonal acne around my jawline that in recent years spread up to my cheeks. Below are some images that were taken only weeks apart around the end of Jan to the beginning of Feb 2017. These are some of the the only pictures I have where my skin looks pretty bad, but not its worst. My face was constantly congested, itchy, swollen and sore, and as you could imagine this took a toll on my self confidence. Although I have pretty much mastered the art of covering my acne, to the point of "Oh my! I didn't realise you had all that under there!" I would still love to be able to walk into my local shopping centre makeup free without feeling like all eyes are on me and judging my fresh faced madness. 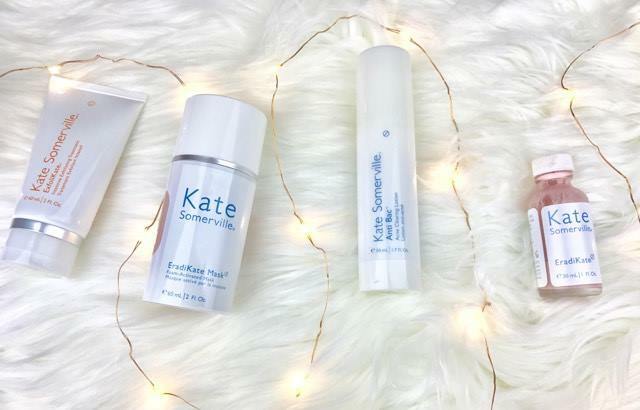 In steps Kate Somerville and her campaign "#KateCan"
I am lucky enough to be a part of an amazing campaign where I am able to use a regimen prescribed to me by Kate Somerville herself *insert fan girl scream here*. 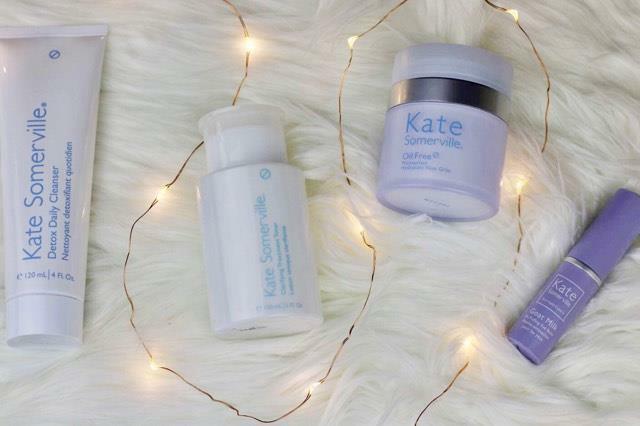 This is a three month long journey where I am only using products from Kate Somerville's range to hopefully give my skin a makeover of a lifetime. Deep Tissue Repair Cream with Peptide K8 (only on dry areas). It has been almost three weeks since I started my regimen and the results so far have been fantastic. It is important to note that I also have made better food choices and have cut diary and processed sugars out completely. This was something that I was making a conscious decision to do before so anyway. 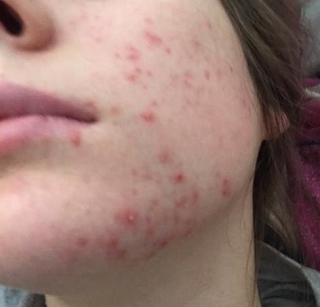 Although my skin is feeling a little dry, I have not nearly as many active breakouts as I did previously. However it feels much better than it looks, most areas of my skin are very smooth to the touch, when before it was quite textured and indented where I have some scaring. 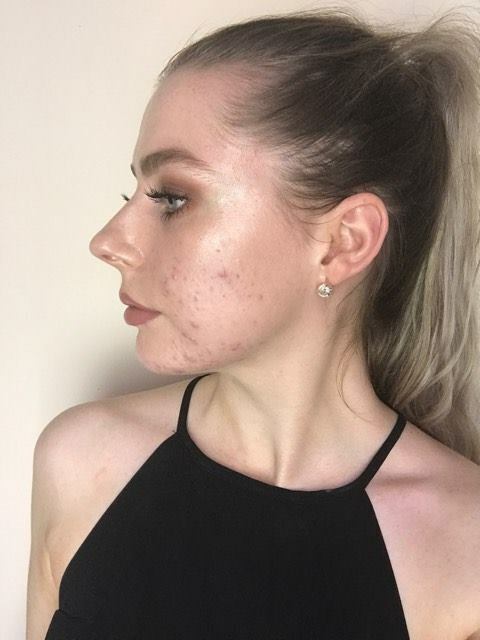 The pigmentation of my scars has also reduced and I have close to no congestion on my jawline. Here is what my skin looked like the week before and although it certainly wasn't at its worst, my skin in this state still effected me pretty badly. 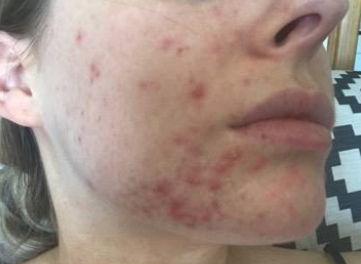 Below is how my skin looks now at almost the three week mark. I will continue to post updates every 3 weeks to show my progress, as well as an in depth review of each product at the end of the three months. I am really eager to see how much my skin transforms. I had almost forgotten about how much I love my Urban Decay Naked Palette, it was tucked behind my other palettes until I decided to pull it out yesterday to film a tutorial! A bronze smokey eye is usually my go to on my nights out but I decided to glam it up a bit more by adding touches of gold! If you'd like to see this gorgeous palette in action, please watch my newest YouTube tutorial! Do you have the Naked Palette? MAC lipsticks are without a doubt one of the most popular, if not most popular lip products on the market and it's not hard to see why. With such a wide variety of beautiful shades and finishes it is quite easy to get lost when choosing at the MAC counter. I have a nice collection at the moment that is always expanding, this something my lips love but wallet hates due to the hefty price tag of $36 in Australia. My most worn have to be Patisserie, Ruby Woo, Rebel and Diva but my current favourite and newest of my collection is Craving, a gorgeous neutral plum thats perfect for the Autumn weather. If you would like to see the swatches and how they look on the lips please watch my video below! If you have any questions please leave them in the comments below! 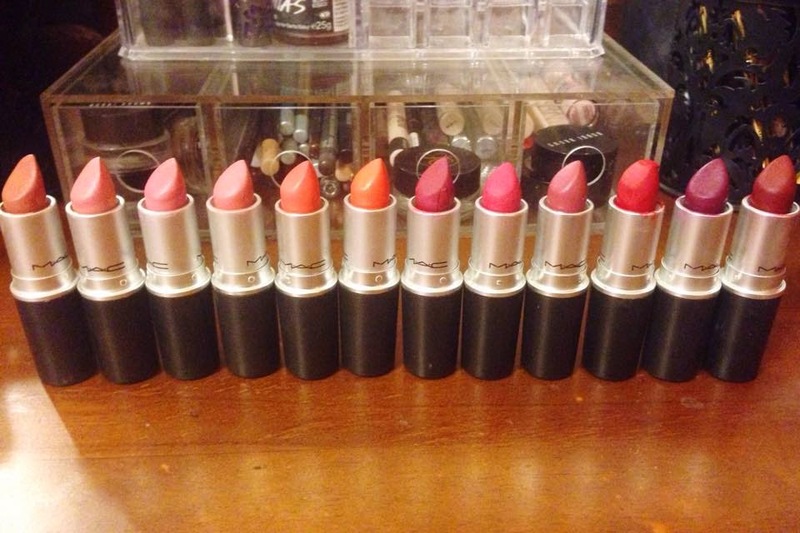 What is your favourite MAC lipstick? I'm loving YouTube so far, it's a great way to show you some of my favourite products and how I like using them! I've had my channel for way too long now and always wanted to create videos but only now have I worked up the courage to start! This is one of my most worn looks, a dark lip and a winged eye, a look that I believe is a classic and could never go wrong with! I'd love for you to check it out and like and subscribe if you enjoy it! I'm currently working on more videos and am planning on uploading again soon! I'd love to hear feed back and requests too, thank you! Hi guys, I finally got around to posting my first youtube video! 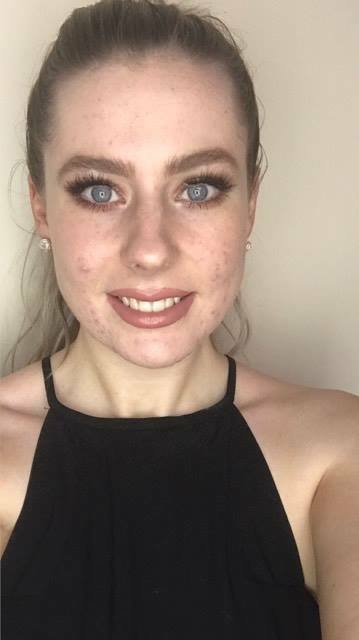 Its my everyday makeup routine using some of my favourite makeup products of the moment. I'd love for you to check it out and if you have any requests or anything you'd like to see please leave them in the comments below, I'd love to see them! Now that the hot weather is really kicking in it is time to bring back out my favourite summer lipstick MAC's Morange. I never expected that I would like an orange lipstick until I received this one as a gift last year but this was all I wore when going out last summer. It's Amplified formula really add's a bright pop of colour to any look and I especially love pairing it with a golden smokey eye and a bronzed complexion or with a really neutral makeup with lashings and lashings of mascara. As much as I love this gorgeous vibrant colour I would rather it to have a more matte finish so it would last longer and I wouldn't have to reapply as much. I really want to try out more orange shades especially matte ones and the next on my list is the NARS Velvet Matte Lip Pencil in the shade Red Square, a beautiful reddish orange. What is your favourite lipstick to wear during summer? Are there any matte orange's you would recommend? When my skin is giving me all sorts of trouble I know I can rely on these four products to save my skin and help bring it back to normal. I own quite a few skin care products, most of which I am not really fussed about but do the job so when I rave about something or continuously reach for it, you can trust that it's good. Although the Lush Catastrophe Cosmetic fresh face mask is a relatively new purchase every time I use it I notice pretty dramatic results. It keeps skin clear and really lives up to its claims to calm problematic areas and reduce inflammation while also making the skin very smooth and soft. While the packaging is fairly small I've managed to get a good amount of use out of it so far and still have quite a lot left. I am with out a doubt going to pick this up again along with another fresh face mask to try out, Lush do such fantastic products! Both the Mario Badescu Drying Lotion and Alpha H Liquid Gold are products I have used up many times and have been staples in my skin care regime for years now. The Drying Lotion is fantastic to throw onto that pesky pimple before bed and in the morning it will be dramatically reduced. Alpha H Liquid Gold is one of those crazy hyped up skin care products, so much more a couple of years ago and I think it does deserves the hype. I use this around two to three times a week and I feel that it has helped to reduce my acne scars and it leaves my skin looking bright and feeling incredibly smooth. The last product that is a must in my skin care draw is Sukin's Rose hip oil. I used to have pretty oily skin but over the years it has become more on the dryer side, bringing a few stubborn flaky patches with it that I have had a little trouble getting rid of. Rose hip oil with its many moisturising properties, is great at combatting this problem as well as fighting acne scaring. I also find that rose hip oil helps to even up the skin tone and give it a beautiful healthy glow. As much as I love rose hip I do want to try out some other oils and would appreciate any recommendations! 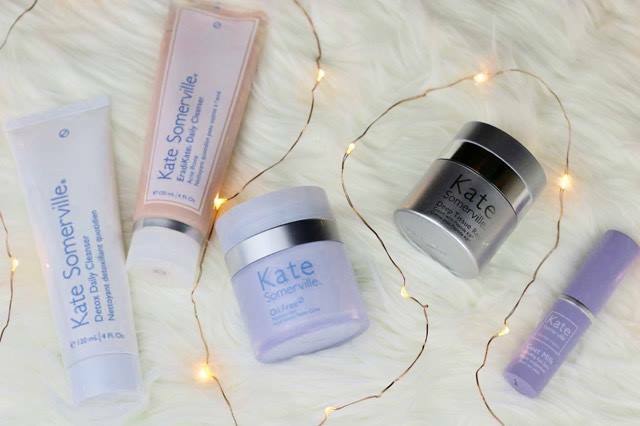 What are your holy grail skin care products? Have you used any of these? Nina, 22. 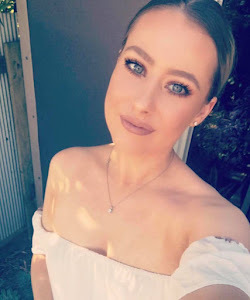 Melbourne based makeup lover.